← Kuk Sool Kids versus Dojo Daycare. Why the right martial arts Master is critical for teaching your kids. Dublin, California, March 26– The stage is set for a traditional Korean martial arts competition as scores of Kuk Sool WonTM students from the Pacific coast region gather in Folsom, Sacramento for the annual tournament. This year the Kuk Sool Won of Dublin School, Martial Arts Academy of USA will be represented with over a hundred students, under the leadership of Master Seyd Saidi. In August this year the school will mark its 25th anniversary. Master Saidi is one of only sixteen 6th Dahn Kuk Sool Masters and has trained thousands of students over his 35 years of teaching. He reminds his students as they prepare for tournament that “growth happens outside of your comfort zone”. The Kuk Sool WonTM of Dublin team includes students ranging in age from under 5 years old to adults. The youngest representative from the Kuk Sool WonTM of Dublin school is Kashvi at 3 years old and along with her training partner who is 4, will be making their tournament debut. A respected guest at the event will be the Founder and Grandmaster of Kuk Sool WonTM, In Hyuk Suh. Other senior Kuk Sool WonTM Masters will also be present in addition to a range of black belt practitioners who will serve as judges for the event. All Kuk Sool WonTM schools in the Pacific coast area of California will be represented and close to a thousand participants are expected. There has been a growth in popularity for this martial arts system due to its comprehensive nature and the range of styles, techniques and weapons it includes. This tournament is governed by World Kuk Sool Association Tournament rules and guidelines, and the event is only open to current and active members of the World Kuk Sool Association, Inc. The event allows students to meet and interact with practitioners of all ages and abilities, and from all walks of life, and to experience the shared identity of a global martial arts system. Students will compete in various categories including open hand forms, techniques, sparring and weapons forms. There is an array of weapons in this martial art system including bo staffs, swords, knives, fans and spears which draws a crowd at the Masters and Instructors demonstrations held at the tournament. Each participant is awarded points for their achievements and the schools compete to obtain the highest overall score. About: Besides the fact that learning Kuk Sool has an impact on every student that enrolls at his school, Master Saidi strives to provide a nurturing, disciplined and goal-oriented environment for his students. 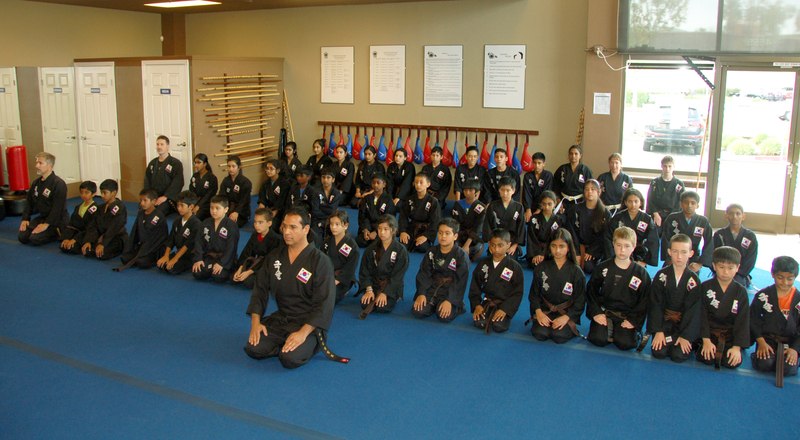 The Kuk Sool WonTM of Dublin School is an established Martial Arts Academy located in Dublin in the Bay Area of California and is proud of its track record of excellence in the teaching of martial arts. For information about his school and the Kuk Sool WonTM martial arts system please see contact information below. Posted on March 26, 2015, in Kuk Sool Won and tagged California, competition, Founder, Grandmaster, In Hyuk Suh, Kuk Sool Won, martial arts, martial arts school, Master, Master Saidi, Pacific Coast, press release, Sacramento, students, Tournament, training. Bookmark the permalink. 2 Comments. Good luck to Master Saidi and all the students from Kuk Sool Won of Dublin competing in the tournament. I look forward to the action. Thanks Robin! Appreciate the good wishes!